General Pulaski Memorial Day is a United States observance held annually on October 11. This holiday honors General Kazimierz (Casimir) Pulaski, a Polish hero of the American Revolutionary War, who is referred to as the father of the American cavalry. Casimir Pulaski was a Polish nobleman and military commander. In 1777, he was recruited by Franklin and Lafayette for service in the American Revolutionary War. Pulaski was accepted as a volunteer in the Continental Army cavalry. In 1778, he created a new unit that would be referred to as Pulaski's Legion. General Pulaski Memorial Day was first proclaimed in 1929 by President Herbert Hoover. 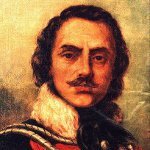 The date of October 11 was selected because it is the anniversary of Pulaski's death. General died at the age of 34 from wounds suffered at the Siege of Savannah in 1779. This holiday focuses not only on remembering General Pulaski, but also on honoring the Polish American heritage. On this day, annual Pulaski Day Parade is held on Fifth Avenue in New York City. The first parade took place in 1937. Grand Rapids, Michigan traditionally holds a three-day celebration known as the Pulaski Days. General Pulaski Memorial Day should not be confused with Casimir Pulaski Day observed in Illinois on the first Monday in March.